I traveled a strange road in becoming a published novelist. I hadn’t planned on writing fiction at all. In fifth grade, I wrote a poem about the planet Mercury that my school published. I served on newspapers for junior high, high school, and community college. I majored in chemistry, switched to journalism, and took a job as a secretary. I wrote a devotional column for a weekly paper. As a short-term missionary with the Far East Broadcasting Company on Okinawa, I served as secretary, scriptwriter, and programmer. Again, I wrote a devotional column for a local paper. For the next 35 years, I worked as a secretary and/or bookkeeper in a variety of settings. I attended various conferences for 17 years. I learned the craft, met new friends, and made contacts with people in the industry. I wrote a few magazine articles and took several devotional assignments. One workshop leader challenged me to write science fiction. I finished a YA novel that might remain in a file drawer for a long time. Members of my critique group suggested I write adult fiction. That’s when I started the science thriller that became Dark Biology. I pitched to numerous agents and editors. Two of them wanted to see the manuscript. One problem: I hadn’t finished it. Two years later, I finished the manuscript. At a conference in 2012, another agent and three more editors asked for it. That fall, I signed with agent Steve Hutson. Two weeks later, Pelican Book Group offered me a contract. 1. Be obedient to God’s nudges. Switching to fiction was a scary step but now I realize it’s where I should be. 2. Keep learning through workshops, conferences, and craft books. And don’t think you know it all. Now that I have one novel under my belt, I cringe when I see how much better I could write it now. 3. Get into a writers group. No one but a writer understands when you tell him that your character won’t cooperate. We need that kind of support. 4. Join a critique group, especially one with members at your level or higher. Critters should encourage you when your writing sings and show you how to improve. 5. Trust God’s timing. Many of my friends were published long before I was, and some are still waiting. God’s path is different for every writer. 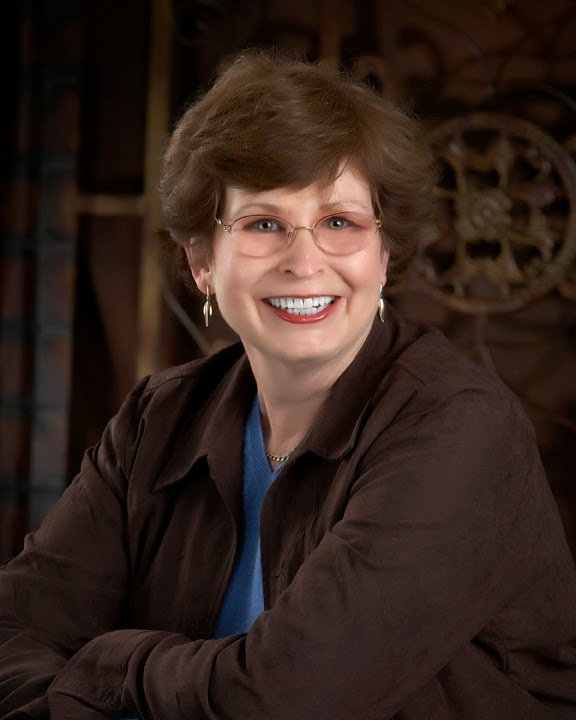 Author Bonnie Doran shares 6 tips learned from her writing journey. Click to tweet. God’s path is different for every writer. Click to tweet. Be obedient to God’s nudges. Click to tweet. Renowned vaccinologist "Hildi" Hildebrandt has set her sights on beating her brother to a Nobel Prize, and the opportunity to conduct experiments on the International Space Station might just provide the means to obtain that goal. Chet Hildebrandt should have had that opportunity. But now he'll teach a lesson to them all: his hot-shot astronaut sister, his philandering hypocritical father, and the CDC for not properly appreciating his work. One vial of a virus purloined from the CDC labs and released at his father's marriage seminar should do the trick, without hurting anybody. After all, it's only a mild influenza strain...Or is it? 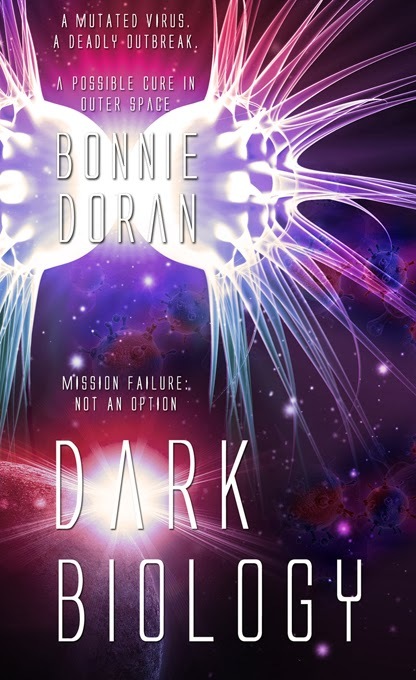 Bonnie Doran’s heart is in science fiction. Besides writing, she enjoys reading, cooking, and Sudoku puzzles. Her husband of thirty years is a Mad Scientist who owns a 2,300-pound electromagnet. They share their Denver home with two Siamese cats. Her debut novel, Dark Biology, released October 25 from Pelican Book Group. I was delighted when Dora invited me to visit Seriously Write. Then came the hard part: deciding which aspect of writing we should discuss. Since I write historical fiction, I decided to talk about some potential pitfalls, but rather than give you a dissertation that will make your eyes glaze over, I thought we’d have some fun. My version of fun, anyway. It’s a little quiz. The object is to see what’s wrong with each of the following selections. The first one is from a book set in 1170. Yes, the Middle Ages. “Can you not settle this peacefully?” Marguerite asked Alain. Surely he must see how conflicted she was by the situation. Marguerite sighed. She wouldn’t go there. Instead, she nodded stiffly, then took her seat next to Louise. The teenager’s enthusiasm for the fight stood in marked contrast to her own reluctance to see blood shed. But the fight was over almost before it began. With one deft stroke, Alain sent Henri’s sword ricocheting against the wall. If you guessed that there were anachronisms in it, you’re right. There are at least four. “Conflicted” came into general use in 1967. “Wouldn’t go there” is a phrase from the 1990s. “Teenager’s” first usage was 1921, and – this one surprised me – “ricocheting” wasn’t commonly used until 1828. The first reason is that they brand you as a sloppy writer. You spend weeks, months, possibly years researching a book. The details of daily life are accurate; the speech patterns are authentic; you’ve even ensured that your characters eat common foods from the era. Why spoil the effect with an inappropriate term? Consider this: checking a word’s first usage is simply another form of research. The second reason is that at least some of your readers will notice the anachronistic terms. For some it may be a mild annoyance. Others may find the errors so jarring that they stop reading. In either case, the suspension of disbelief that we strive so hard to create is broken, if only for a second. Don’t do it. Don’t risk losing readers. Okay, are you ready for quiz number two? At least it wasn’t raining. Normally he wouldn’t mind it. In fact, he preferred rain when going into battle. Unfortunately, today he wasn’t waging war, nor was he facing an opponent at the other end of a lance. It would have been easier if he were. Even a few hours at the quintain would have been preferable to the fate which was now mere minutes away. The knight on the silver gray destrier let the reins slacken as he looked around him. Though the wheat field could not compare to the raw magnificence of Outremer, there was no denying its beauty. It spoke of fertile ground, of centuries of tradition, of home. This morn it also reminded Alain de Jarnac of the obligation awaiting him. This is another selection from the same medieval. While there are no anachronisms in this passage, I would venture that some of the vocabulary made you pause. Admittedly, devotees of medievals are familiar with quintains (a post with a revolving crosspiece that knights used for training) and know that a destrier is a war horse. They’d also know that Outremer meant overseas and was a term used during the Crusades. But – and this is an important “but” – many readers won’t recognize those terms. If a potential reader picked up the book and glanced at this passage, the chances are she wouldn’t buy the book, simply because of the unfamiliar words. You don’t want that to happen, and so I urge you not to fall into this potential pit. Either use common words or include an explanation. For example, if the author had replaced the simple reference to a quintain with “a few hours of jousting against the revolving arms of the quintain post,” the reader would have understood what a quintain was and might have smiled over the fact that he’d learned something new. The key is never to make a reader feel stupid. That’s all for today, but I’ll be back in two weeks for part two of the pitfall discussion. I hope to see you then. Dora here. Did you pick up on the errors in these passages? As a reader, what pitfalls throw you out of a scene? As a writer, do you research word usages? She’s planning on instant success. What she didn’t plan on was love. When Elizabeth Harding arrives in Cheyenne to open a medical practice, she is confident that the future is as bright as the warm Wyoming sun. Certain she’ll have a line of patients eager for her services, she soon discovers the town may not welcome a new physician—especially a female one. Even Jason Nordling, the handsome young attorney next door, seems to disapprove of her chosen profession. When a web of deceit among Cheyenne’s wealthiest residents threatens to catch Elizabeth and Jason in its snare, they must risk working together to save one of Elizabeth’s patients, even if it means falling in love. 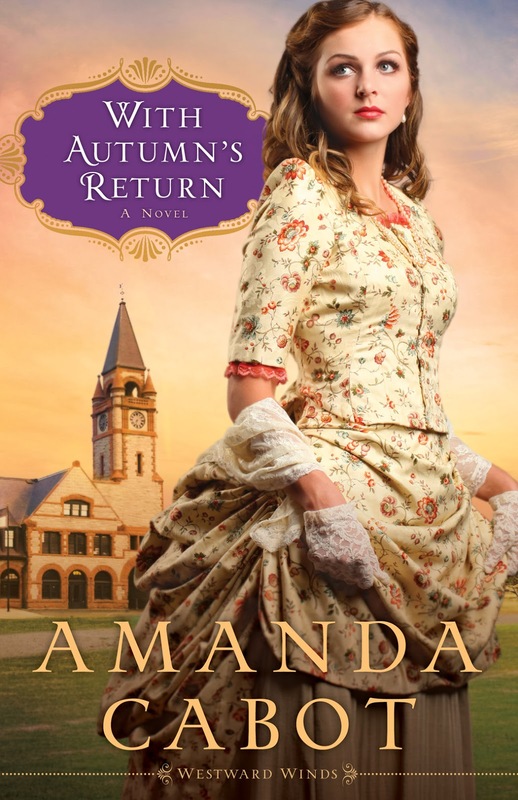 From the time that she was seven, Amanda Cabot dreamed of becoming a published author, but it was only when she set herself the goal of selling a book by her thirtieth birthday that the dream came true. A former director of Information Technology, Amanda has written everything from technical books and articles for IT professionals to mysteries for teenagers and romances for all ages. 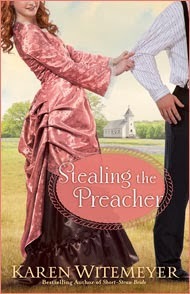 She’s delighted to now be a fulltime writer of Christian historical romances. 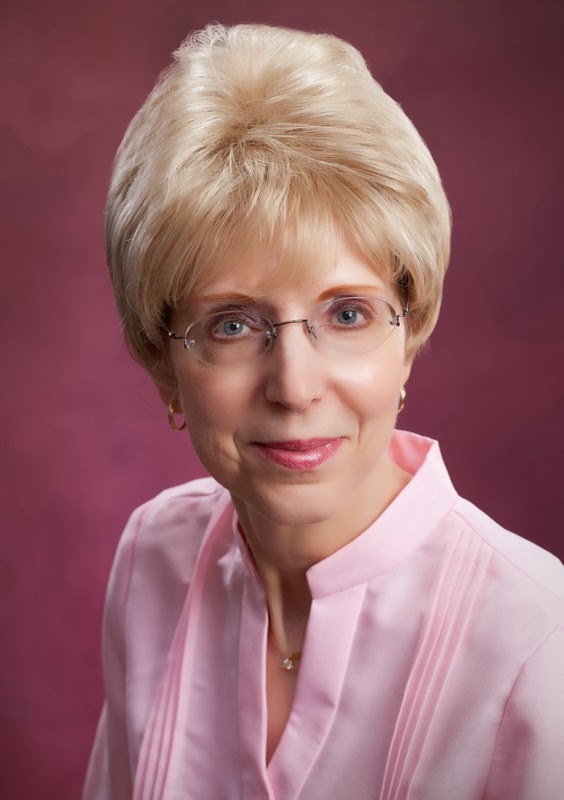 Her Texas Dreams trilogy received critical acclaim; Christmas Roses was a CBA bestseller; and a number of her books have been finalists for national awards, including ACFW’s Carol award. Linda: Blessed is the man who expects nothing, for he will never be disappointed…Alexander Pope. Disappointment is part of the human condition. Who among us has not felt its sting to some degree? When we don’t achieve what we desired, we are tempted to quit. The pain is simply too much. For me, I’ve recently struggled with disappointment, having gone from never getting published, to acquiring an agent, to getting multiple book contracts and then having those books tank in the marketplace. When will I realize success? So I did some research. I discovered that most often disappointment is caused by what psychologist call cognitive dissonance. This occurs when expectation is incongruent with reality. When our desire or object of pursuit exceeds the bounds of reality, defeat is likely and it can lead to disappointment. Can I reasonably expect I will hit best seller rank with any or all of my books? Perhaps not. Look at James Joyce or Theodore Dreiser. Can you name all their books? No. Not all of their works came off the presses with gusto. If we will be quiet and ready enough, we shall find compensation in every disappointment – Henry David Thoreau. Disappointment cripples the soul when we believe we are “deserving” of a particular outcome. When life does not curve the way we want or if we don’t receive what we feel we deserve, we give up and become enslaved in Disappointment’s domino effect: I expect what I think I deserve, I don’t get it, I feel disappointment. Likewise, we may need to reframe our approach to our writing. That does not mean we should let go of the prize. God has created us as unique individuals with different characteristics. We often make the mistake of expecting the same outcome as someone else who may have traveled a similar path, and we fail to take into account our different makeups, the peculiar God-made construction. His way may not match our pre-conceived design. Rather than view the roadblock as failure, we can perceive it as a time to reflect and move forward again, perhaps in a different direction. Always, though, within those struggling times, God has prepared a harvest of blessings, if we choose to look for them. How have you handled those discouraging moments in your writing life? We'd like to know your tips for getting past those times. When a romance writer and her estranged publisher husband attempt to reconcile, malignant forces and a pending lawsuit seem bent on keeping them apart. After fifteen years of marital disarray, Henry and Sylvia Fitzgibbons (aka Lana Longstreet) independently contemplate divorce, their relationship relegated to Henry’s infrequent visits to the Connecticut estate and their once a week meeting at Chez Phillipe’s in Manhattan. But, not yet. There is the matter of the decaying rose gardens and the thirtieth anniversary party the children are planning. Reluctantly, Henry moves in for the summer, steeled against the hauntings that torment only him. As reconciliation seems possible, the evil forces within begin to target Sylvia as well. 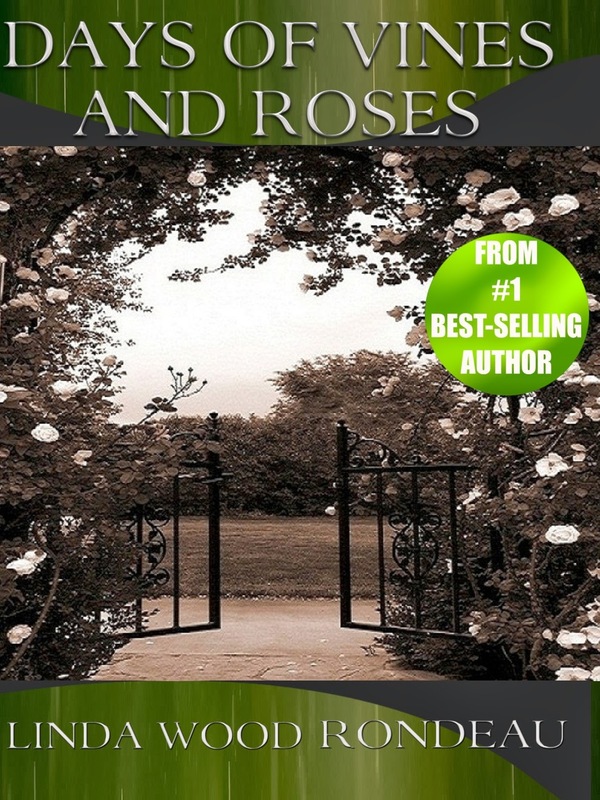 Like the strangling vines within the rose beds, Henry and Sylvia have become victims of spiritual neglect. Their only hope remains in surrender to a power greater than the evil determined to destroy them. Linda’s best-selling Adirondack Romance, It Really IS a Wonderful Life, is published by Lighthouse of the Carolinas and is available wherever books are sold. Her next releases were her devotional book, I Prayed for Patience God Gave Me Children and Days of Vines and Roses (also available where ebooks are sold). Joy Comes to Dinsmore Street and A Christmas Prayer have been released in time for the Christmas Season. Songs in the Valley/ Helping Hands Press. Will be released in late 2013 or early 2014. Readers may visit her web site at www.lindarondeau.com or email her at lindarondeau@gmail.com or find her on Facebook, Twitter, PInterest, LinkedIn, Google Plus and Goodreads. For those of you who have children, do you remember the excitement (and perhaps the anxiety) that filled you as you began selecting names? It’s a weighty responsibility, knowing your child will be saddled with whatever you choose for the length of his/her life. No pressure. Ha! Names are so important. We want our girls’ names to be beautiful and our boys’ names to be strong. Yet more than that, we want them to have meaning. Perhaps you chose a name because of the meaning inherent in that name’s origin. Or maybe you selected a name from your ancestry that carries significance for your family. As an author, I’m faced with the same dilemma when selecting names for my characters. Not only do I want the names to sound good and roll easily off the reader’s tongue, but I love to give extra meaning to the names, perhaps a meaning that no one else will ever pick up on besides me. For example, in my debut novel, my main characters are Jericho Tucker and Hannah Richards. Yes, I love using biblical names. They fit the historical setting perfectly, but in my hero’s case there was extra meaning involved. Jericho’s name was symbolic. Like the biblical city whose walls came tumbling down, Jericho or “J.T.” had built walls around his heart that needed to come down in order for him to open himself to the heroine’s love. And Hannah Richards? Well, her name had personal significance to me. You see, my dad died when I was only 16, and I wanted to honor him in some subtle way in my first published novel. His name was Richard, and it seemed fitting to let my heroine carry his name. 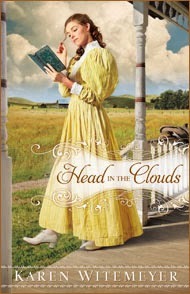 Gideon Westcott and Adelaide Proctor from Head in the Clouds had some teacher is often synonymous with the term proctor. 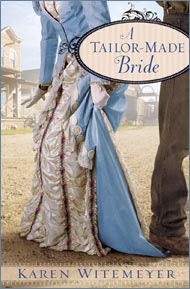 Of course, the Archer brothers from Short-Straw Bride and Stealing the Preacher were named for heroes from the Alamo – Travis, Crockett, Bowie (who went by Jim), and Neill. I had fun tying those into Texas history since my books are all set in Texas. But did anyone notice that the heroine who paired up with Crockett – Joanna Robbins – had a play on her name as well? Her father was an ex-outlaw who robbed stage coaches and trains. (Yes, I see your eyes rolling.) One of my favorite sources for names is the Social Security website. You can search the most popular names by year as far back 1880 – ideal for a historical writer. You’ll find timeless names like Charles and Michael, Elizabeth and Mary. But then there are the names that make you wince like Elmer and Rufus, or Gertrude and Bertha (yes, all these made the top 100 in 1880). But what is really interesting from a historical perspective are the popularity of cross-gender names. Now, girls have worn boys’ names proudly for years, but back in the day, it’s a little scary how how popular girls’ names were for boys. 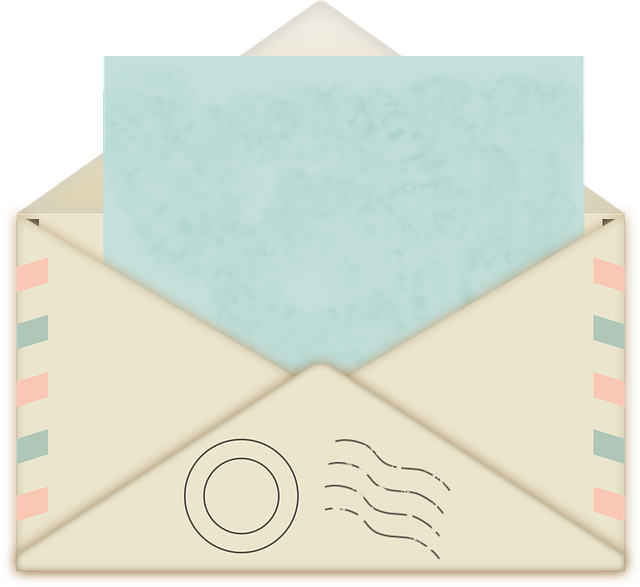 Here’s a few from the 1880-1885 lists – remember these are boy’s names: Marion Leslie Pearl Lynn Pink Mary Loren Madison Cary Fay Allie Sandy Dee Jean Jules Anna Clair Minnie Kelly Shirley. Now, just because a name is historically accurate, does not mean it would make a great character name. I just can’t imagine naming my rugged cowboy hero Minnie or Shirley. And calling him Anna or Mary would just leave readers scratching their heads. Especially if the heroine was named Lou or Johnnie (popular female names during that time). Although ... I have dear friends named Lacy and Jaye. Lacy is a very masculine Texas game warden while Jaye is his lovely wife. When they were first introduced at church, however, it took me weeks to get their names sorted out. What kind of names do you enjoy most when you are reading novels? What weird names have you run across in books or real life that make you cringe? 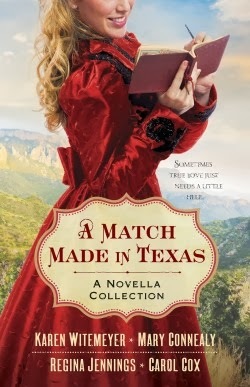 There's a secret matchmaker at work in frontier Texas! 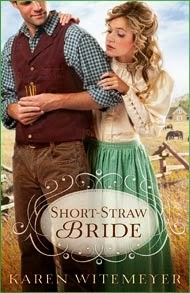 In the small town of Dry Gulch, Texas, a good-hearted busybody just can't keep herself from surreptitiously trying to match up women in dire straits with men of good character she hopes can help them. How is she to know she's also giving each couple a little nudge toward love? 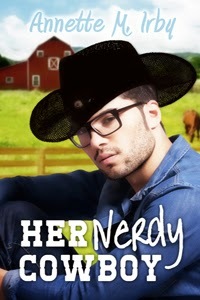 A Cowboy Unmatched Neill Archer isn't sure who hired him to repair Clara's roof – he only knows Clara desperately needs his help. 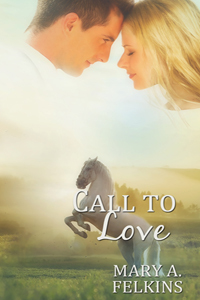 Can he convince this stubborn widow to let down her guard and take another chance on love? Hey writers, how often do ideas come to you? What do you do when they come? I've had some ideas drift away on the busyness of my day never to reappear. How about you? 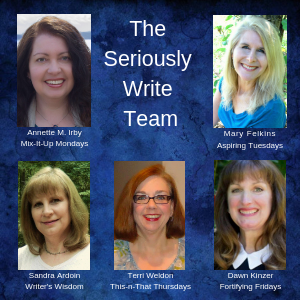 Susan Diane Johnson, our guest today, points out how writer's block and spontaneous ideas go together and how to ward off the former by collecting the latter. Enjoy! Many writers work full-time at another job, including myself. I wish I had words of wisdom regarding time-management, but I don’t. I need those words myself. What I hope I can speak to is creativity and how not to lose it. A day job can kill your creativity, even if it’s one you love. And I dearly love my job. But because of the kind of work I do, it emotionally exhausts me to the point that I don’t always feel like writing when I get home. What I’ve learned the hard way is that one day away from your manuscript turns to two days and then ten. Before you even realize it, you’ve lost the spark that fueled your imagination and it becomes a chore to write. Writers must write every day, even if it’s just a sentence, a paragraph, or an idea. The most important thing I’ve learned is to not put off writing down ideas as they come to me. I might think I’m going to remember the brilliant scene I dreamed while I was sleeping, or the sparkling conversation between my characters that I thought of while I was in the shower, but I won’t unless I write it down as soon as I can. I’ve lost more ideas by ignoring them, so I’ve learned to keep a writing tablet by my bed for just this purpose. Obviously I can’t write while I’m working. So how do I handle it when I have some burning idea during the work day? That same writing tablet I wrote on when I woke up or after I showered, goes everywhere with me. The very instant I get a break, I jot down enough of the idea that I won’t lose it. I’ve become a thought collector. The act of putting the ideas on paper keeps my thoughts alive during the day and helps me look forward to the time I can put everything into my document. It helps keep the spark growing so my manuscript can stay alive. And if I can’t type them in until the weekend, I’ve usually collected enough thoughts during the week so when I sit down at the computer I have enough ideas to keep that old nemesis called writer’s block as far away from me as possible. If you lose enthusiasm for your manuscript during the week, I encourage you to make it a habit to become a thought collector. Several months after a tragic accident that claimed their son, Lisa and Joe Kendall's marriage has fallen apart. Lisa prays every day for Joe to come back home so they can grieve their loss together. Their marriage isn't the only thing suffering, and Joe is forced into taking time off so he can find "closure". Unsure where to spend two weeks, Joe decides to go on the Alaskan cruise they were supposed to take with their son. The last person he expects to see once the ship is well under way is Lisa, who hopes two weeks alone with Joe will help restore their marriage. What she doesn’t know is that Joe has already decided the best thing for Lisa is for him to be out of her life. 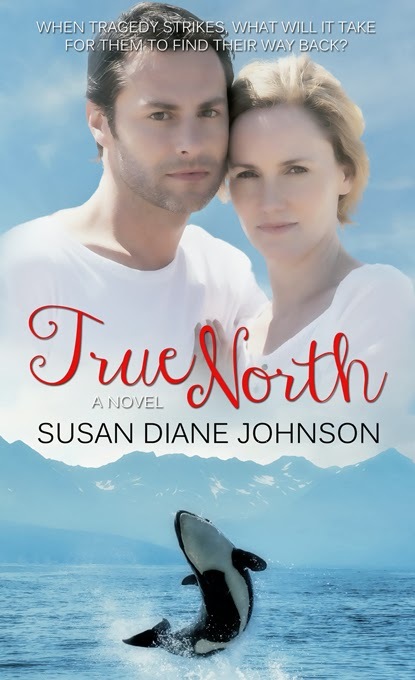 Susan Diane Johnson is the author of two contemporary novels, True North, and No Substitute. Her first historical novel, Sweet Mountain Music, will be available in May. 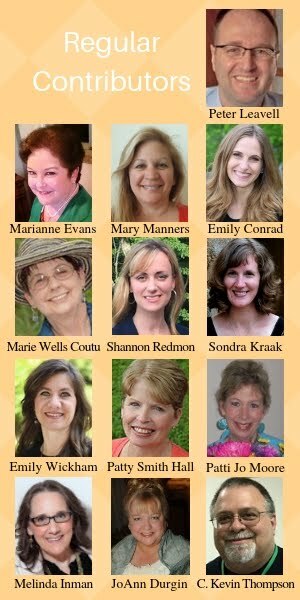 Susan is a regular contributor to the Inkwell Inspirations blog, a group blog by Christian woman and for Christian women. She is also member of American Christian Fiction Writers, Romance Writers of America, and National Cancer Registrars’ Association. 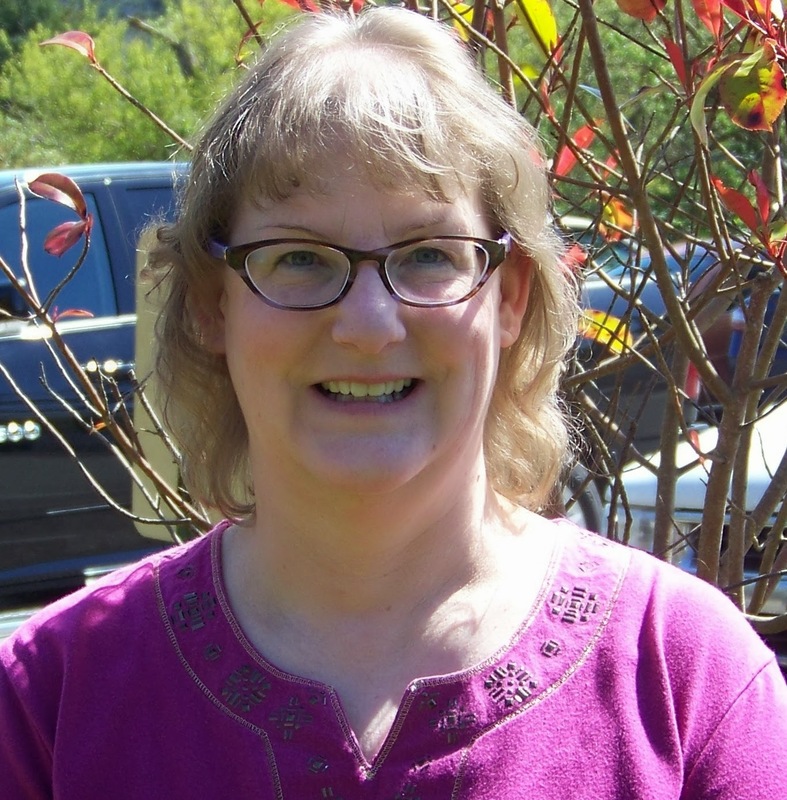 During the day, Susan is a cancer registrar at her local hospital and lives in northwest Washington with her husband and their naughty little cat. They are the parents of a wonderful grown son, and hope to one day become grandparents. 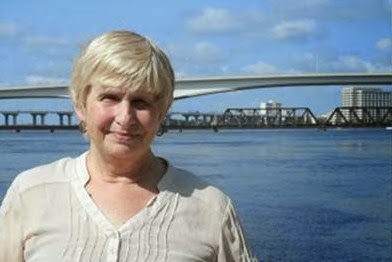 You can contact Susan through her website (below), or at glorybooks@yahoo.com.